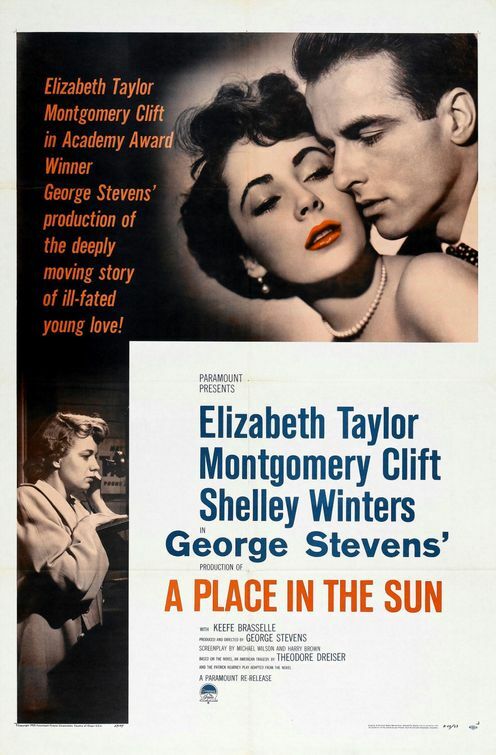 Montgomery Clift stars as George Eastman, a young man from a humble background, who goes to work for his wealthy uncle. He doesn't exactly get the warmest of welcomes, everything is kept very business like, with George referring to his uncle as Mr Eastman, and he starts out at the very bottom of the company in the packing department. His attempts to fit in at parties held by the wealthy Eastmans and their circle of friends are fruitless. George is an outsider. While working at the factory he becomes close to his co-worker Alice Trip (Shelley Winters). The company has a strict policy forbidding employees to get involved in relationships with each other, this however doesn't stop them from secretly dating. Things get complicated when George gets a promotion and starts mixing in more glamorous social circles, he meets Angela (Elizabeth Taylor) and they soon become very close. George starts to get a taste for the lifestyle enjoyed by his wealthy relatives, and he seems to care little for the feelings of Alice, who has discovered that she is pregnant with George's child. So does George do the decent thing and marry Alice? Remember this was the 1950s and people would get married to someone they didn't love to spare the shame of everyone knowing that they had a child out of wedlock. Or does he abandon Alice, and go off and live the high life with Angela? Montgomery Clift was made to play the outsider, which he did in numerous other roles, to the point of being typecast. Elizabeth Taylor is beautiful and charismatic (not much acting required really!). As the film progresses, you start to get the feeling that things are going to turn sour, and boy they really do! As dramas go, if you like the characters to go through twists and turns and turmoil to make it through to a happy ending, you might be disappointed. A solid drama but not quite up there with the very best in the genre.